The U.S. has lagged behind other nations, especially Russia, in its security presence in the region. EIELSON AIR FORCE BASE, Alaska — The United States needs to “up its game” in the Arctic and deal with an increasingly important and developing part of the world, U.S. Defense Secretary Jim Mattis said on Monday, as a warming Arctic opens up new sea lanes and oil and minerals reserves. “Certainly America’s got to up its game in the Arctic. There’s no doubt about that,” Mattis told reporters in Alaska before leaving on an Asia trip. Mattis said part of that would be an increased Coast Guard presence. Warming in the Arctic has raised the prospect of a new rush for resources. The Arctic is estimated to hold more hydrocarbon reserves than Saudi Arabia and Russia. 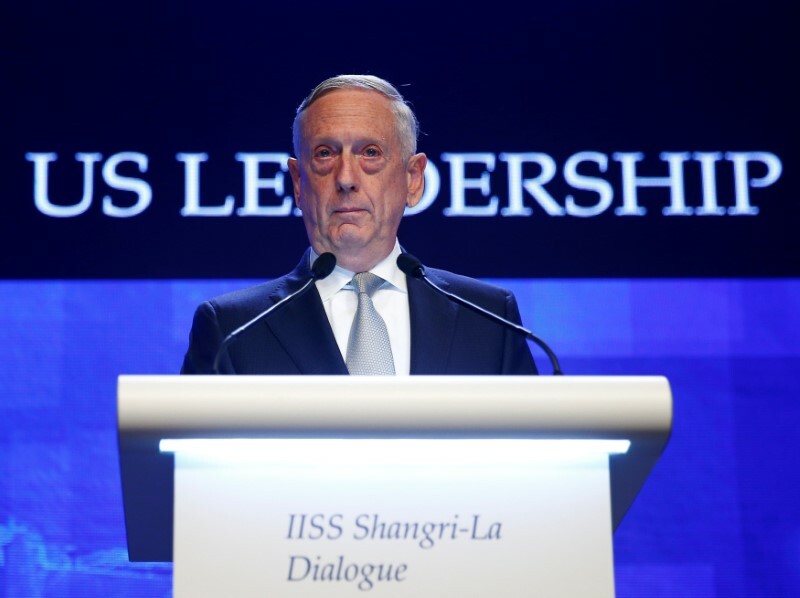 “So the reality is that we’re going to have to deal with the developing Arctic … It is also going to open not just to transport but also to energy exploration,” Mattis said. The United States and Russia have both expressed interest in boosting Arctic drilling, and Russia has bolstered its military presence in the north. Russia, which is in the midst of a major rearmament program, has embarked upon its biggest military push in the Arctic since the 1991 fall of the Soviet Union, beefing up its military presence and capabilities. Under President Vladimir Putin, Moscow is rushing to re-open abandoned Soviet military, air and radar bases on remote Arctic islands and build new ones as it pushes ahead with a claim to almost half a million square miles of the Arctic. Also, earlier this year China outlined ambitions to extend President Xi Jinping’s signature Belt and Road Initiative to the Arctic by developing shipping lanes opened up by global warming. China’s increasing prominence in the region has prompted concerns from Arctic states over its long-term strategic objectives, including possible military deployment. Republican Senator Dan Sullivan from Alaska, standing alongside Mattis, said there was bipartisan support in the U.S. Congress to see the Arctic in more strategic terms. “I agree with the secretary, I think we’re behind, but I think we’re finally starting to catch up,” Sullivan said.